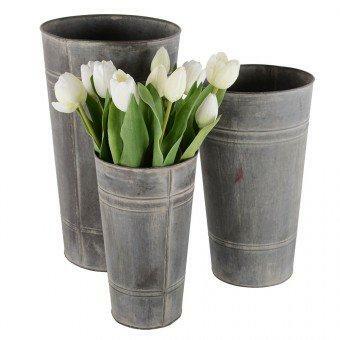 Show off your favorite blossoms in these lovely zinc Florist Buckets. They will add accent to any space. Available in 3 Sizes:- Small, Medium, Large.